What are you looking for in a telecommunications system for your business, enterprise, organization? For your start-up, your established business, your local / regional / national / global operation with one to dozens of locations, your non-profit, your municipal or government agency? For your staff of two or three to dozens or even thousands who work in the workspace or on the road or telecommute? A dependable solution that will meet your needs today, evolve and grow to meet your future requirements while at the same time evolving and growing with new and latest technologies? Something that is cost effective, reliable, feature rich, and easy to manage? 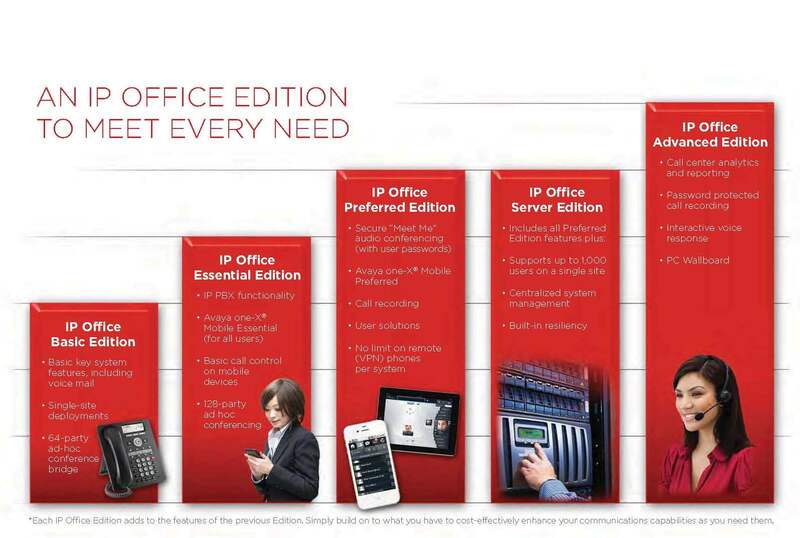 Delta Intellicom has exactly what you’re looking for – the Avaya IP Office. Grown on a long history of being the leading manufacturer of telecommunications equipment, Avaya has been delivering industry leading innovations from the chalk board to the white board, from the laboratory to the desktop, based on a foundation and business model of understanding how communications are a management tool, changing and improving as business and technology has changed. The Avaya IP Office allows you to control costs by lowering mobile phone and long-distance bills, handing more calls with a smaller staff, making your existing staff more efficient, expanding your talent pool without increasing operational and real estate expenses by allowing extra staff to work at home, migrating your existing Avaya and Nortel handsets, and having centralized remotely-accessible management. The IP Office is an ultra-flexible and expandable solution. It is a full featured hybrid PBX IP system that is capable of using VoIP, digital, and analog phones as well as connecting to SIP, digital (PRI/T1) and analog trunks. 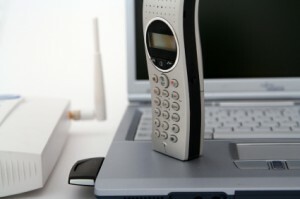 This allows for the use of ever-evolving VoIP plus extremely reliable digital and analog phone technologies. It allow provides for the re-use of existing cabling which can save on low voltage infrastructure upgrade costs. Whether you have your own dedicated IT staff or not, the Avaya IP Office makes your communications simple to manage. With an easy to understand GUI interface, the IP Office allow you to make changes to the phone and voice mail for employee changes, etc. Partner the IP Office with technologically advanced and class leading energy efficient Avaya managed Ethernet switches for a cost effective, environmentally friendly, future-proof integrated telecommunications solution. 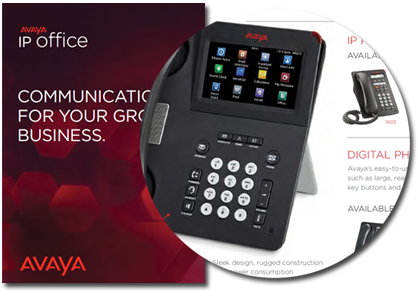 With the hundreds of included features, the Avaya IP Office is capable providing solutions to needs that you don’t even have today. Features like unified communications and messaging that allows you to stay in touch wherever you are by taking calls not only on your office desk phone but also on your mobile device, soft phone or home phone, receiving voicemail messages as emails, and accessing presence information about coworkers and business contacts. Features like audio and video conferencing with two built in 64-party voice conference bridges. Features like powerful multi-level, multi-tenant automated attendant and voice mail capabilities. Features like easy integration with wireless handsets, cordless headsets, overhead paging systems, background music, and message on hold. Features like call center applications and detailed call accounting, call reporting, and call recording. 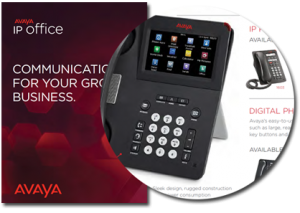 The Avaya IP Office allows you to connect and collaborate in real-time without limitations, lower operating expenses, improve efficiencies, and gain the competitive edge while integrating communications with your operations and business strategy. 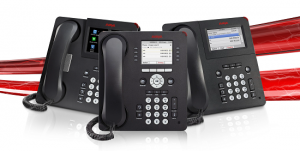 Delta Intellicom has been an Avaya business partner for over twenty years installing Avaya telecommunications solutions including the IP Office throughout Maryland, northern Virginia, and southern Pennsylvania including the metropolitan Annapolis, Baltimore, Columbia, Washington, DC areas. We have provided businesses in Anne Arundel, Baltimore, Carroll, Frederick, Harford, Howard, Montgomery, and Prince George’s counties with solutions from Avaya and others that are second to none backed by our superior service guarantee.